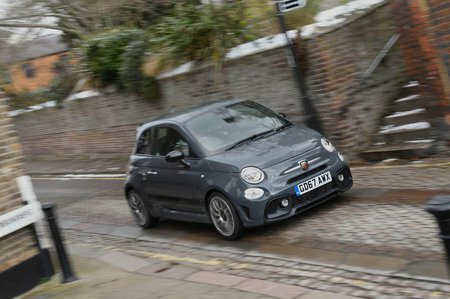 Abarth 595 1.4 T-Jet 145 Review and Deals 2019 | What Car? The entry-level 595 uses a turbocharged 1.4-litre T-Jet engine that produces a lukewarm 143bhp and 152lb ft of torque. Consequently, don’t expect hot hatch levels of performance.